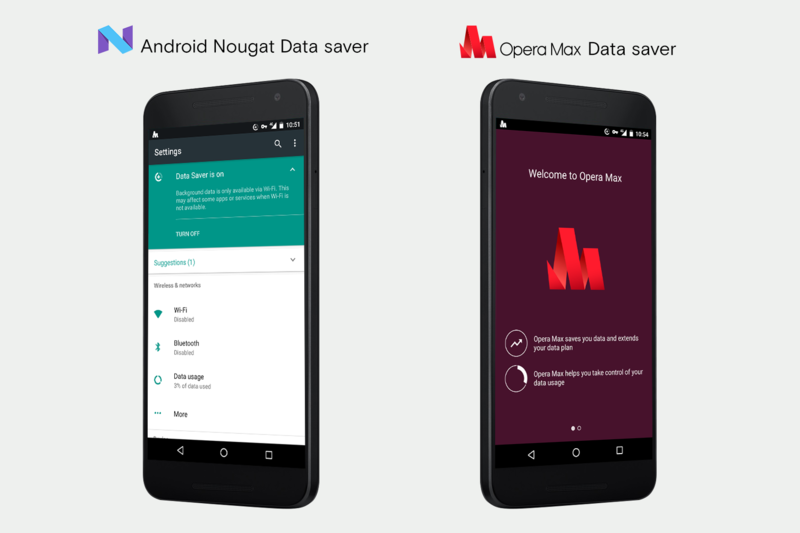 One of the main features in this new OS is the mobile data saver, which I am particularly interested in. I’ve already added Data Saver to the top 5 list in my quick settings. 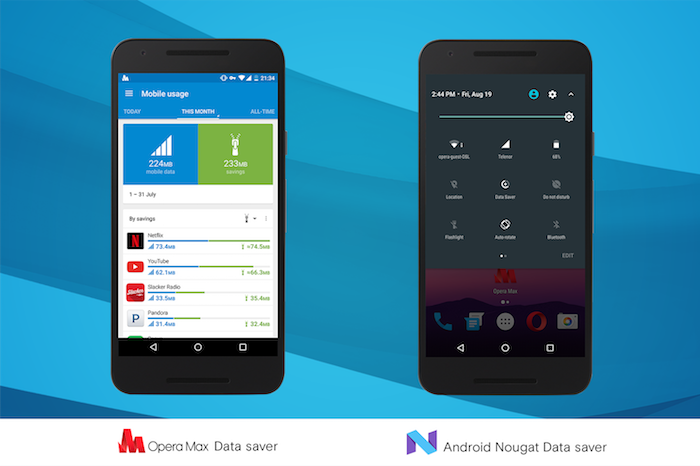 I tested it against our free data savings app, Opera Max. 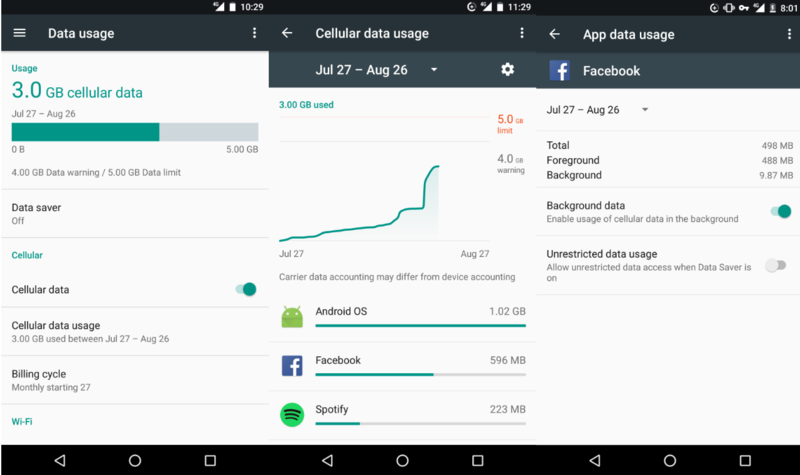 What I love about the Android Nougat Data Saver is that it gives me more control over how I use my data plan, since I know that about 30% of mobile data is wasted in the background. The feature blocks background data, while allowing me to whitelist some apps, but I still found it a bit tricky to use. In order to find out which apps are safe to include on the Unrestricted data access list, I had to navigate back to Cellular data usage and look at individual apps. Only then was it safe to pick the apps that are allowed to sync when the Data Saver is on. While the Data Saver feature will undoubtedly save me mobile data in the future, it didn’t make a big dent in my MB consumption during the short period I’ve been using it. 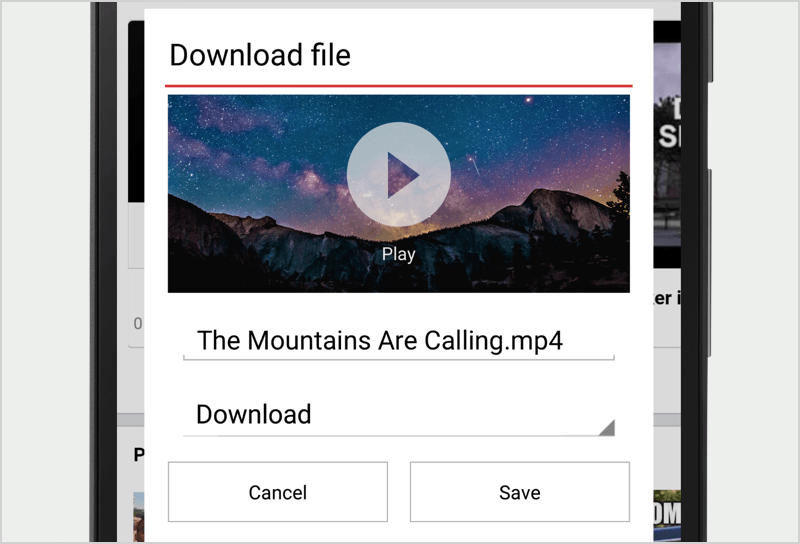 I’m a big user of YouTube, Instagram and Slacker Radio, and I missed saving data on videos, images and streaming. 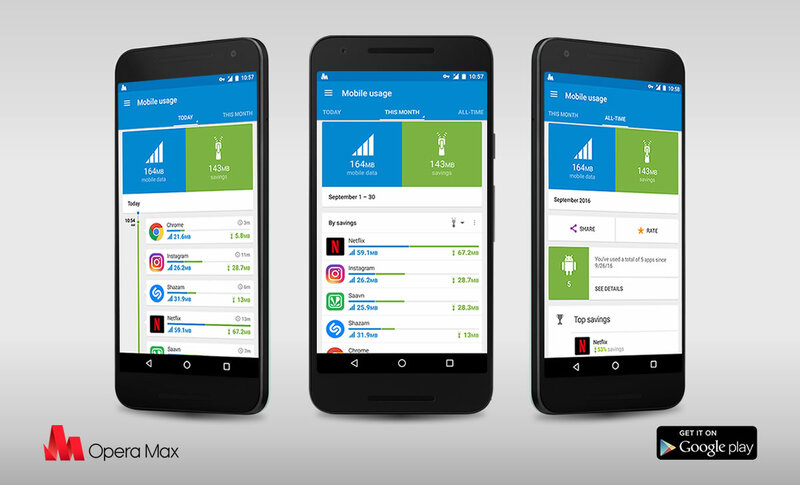 If you’re like me and spend your day on media rich apps, then you might want to try out our free data savings app. 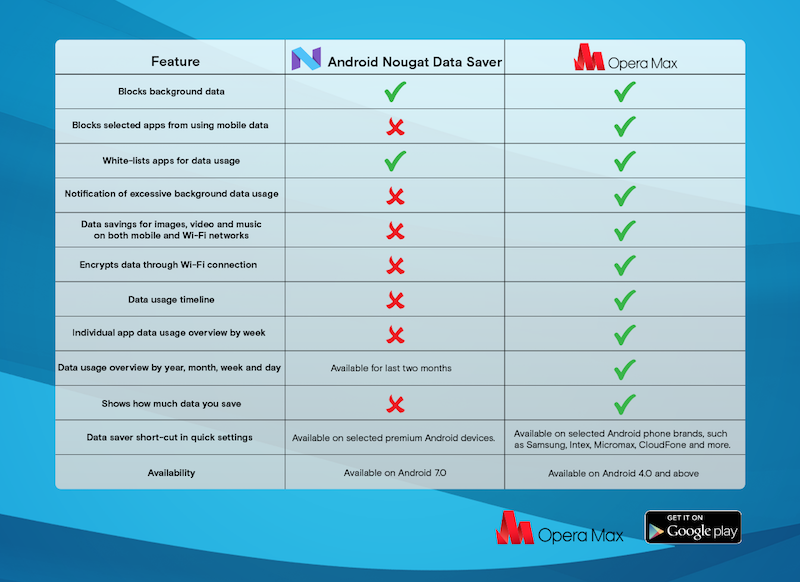 You will get more out of your mobile data plan with Opera Max now, but you can always consider updating to Android Nougat at a later stage.